Jack Kerouac was a famous writer known for his fictional, but mostly autobiographical, novel On the Road, depicting the Beat Generation and Sal Paradise bumming across the United States. In his written works, Kerouac dared to defy the rules, social and written, and claim that true freedom lies within the choices a person makes daily and the ability to express that choice openly. 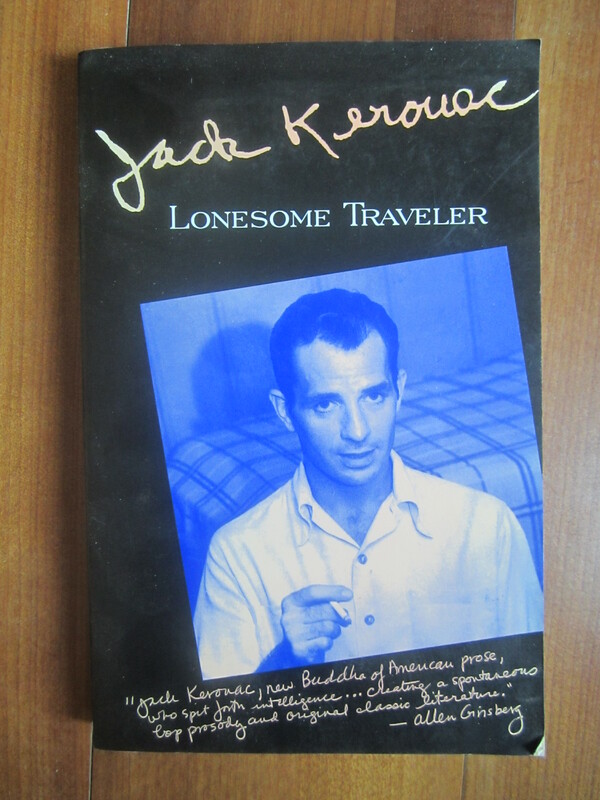 In Lonesome Traveler, published in 1960 and a few years after On the Road, Kerouac once more took on the whole of the United States and additionally took the narrative, this time completely autobiographical, to Mexico, then across the Atlantic Ocean to Morocco, Paris, London and back again to New York. Kerouac, in Lonesome Traveler, desired to not only reveal to his fellow Beatniks (followers of the Beat Generation) the rest of the world through his travel narrative, but to also try and define the meaning of existence. 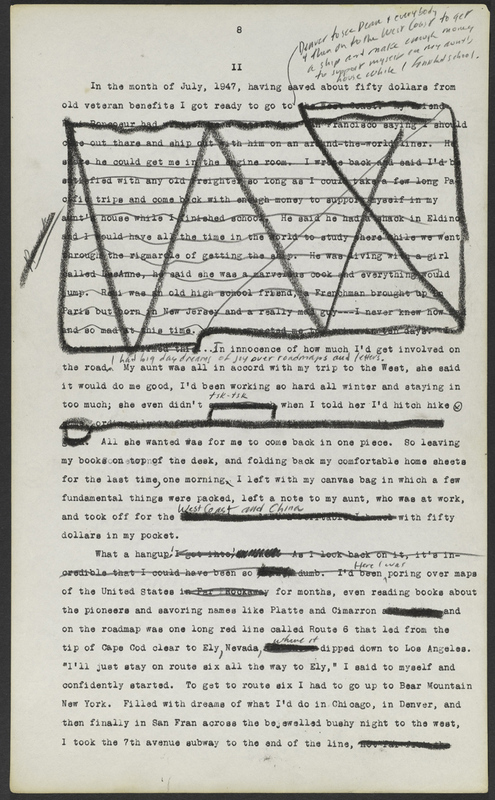 Not only will this essay focus on the purpose of Kerouac’s travel novel, it will also dissect the novel and reveal much of its strengths; finally, the essay will consider how Lonesome Traveler compares to earlier travel works of nonfiction. 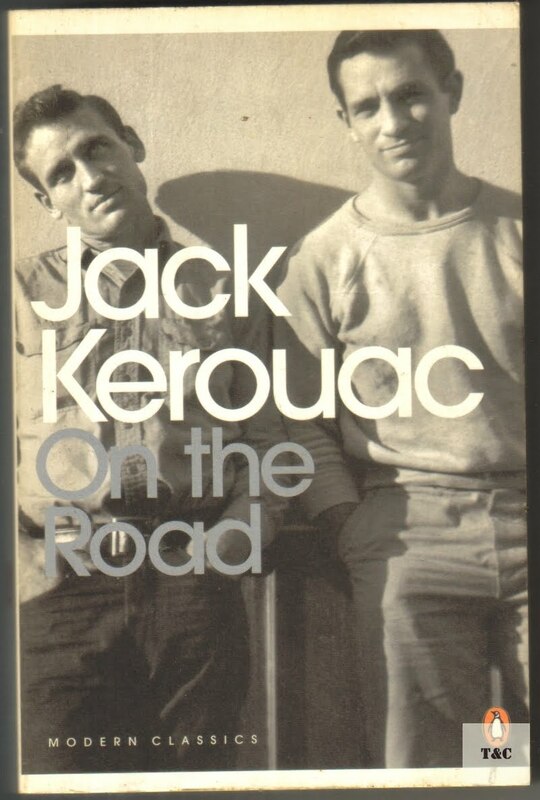 Jack Kerouac was a founder and member of the Beat Generation, a group of poets and writers and normal every day people who believed in communal experiences and living while rejecting social order and traditional expectations. However, a force beats in Kerouac all through Lonesome Traveler which defies even the most sound of Beatniks and their beliefs. Kerouac begins to question the meaning of existence, even an existence bound to freedom. While working as a Fire Lookout on Desolation Peak for three months, Kerouac begins to meditate in his loneliness until he would “yell questions at the rocks and trees, and across gorges, or yodel—‘What is the meaning of the void?’ The answer was perfect silence,” so he knew (Kerouac 128). 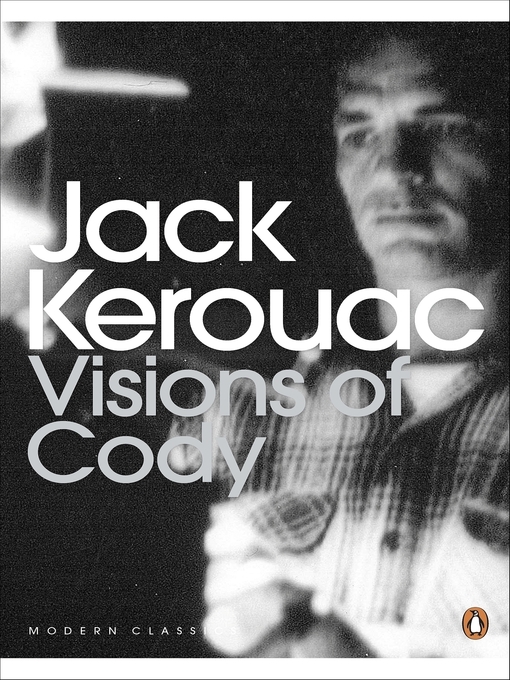 His questioning of the void and the doubt in his own wondering through the world haunts Kerouac all through the novel, dominating the descriptive scenes of mountains, forests, and lakes and instead describes the emotional journey he undergoes. As a chanting Kerouac, high on hashish, sits on a rooftop in Tangier, he digs deeper into his spirituality, in search of his answer to that looming question concerning the void; he writes: “I meditated on the roof thinking ‘All things that move are God, and all things that don’t move are God’ and at this re-utterance of the ancient secret all things that moved and made noise in the Tangier afternoon seemed to suddenly rejoice, and all things that didn’t move seemed pleased” (Kerouac 146). Kerouac is attempting to enlighten himself as much as he is trying to enlighten the readers and Beatniks. He understands there is more to life than the days filled with long office hours and rushing home to a family and children and bills. “And I realize that no matter where I am, whether in a little room full of thought, or in this endless universe of stars and mountains, it’s all in my mind. There’s no need for solitude. So live for what it is, and form no preconceptions whatever in your mind… For when you realize that God is Everything you know that you’ve got to love everything no matter how bad it is, in the ultimate sense it was neither good nor bad (consider the dust), it was just what was, that is, what was made to appear.—Some kind of drama to teach something to something, some ‘despised substance of divinest show’… Because silence itself is the sound of diamonds which can cut through anything, the sound of Holy Emptiness, the sound of extinction and bliss, that graveyard silence which is like the silence of an infant’s smile, the sound of eternity, of the blessedness surely to be believed, the sound of nothing-ever-happened-except-God” (Kerouac 131-133). Kerouac is not only confirming the Beat Generation’s ideals of community acceptance and cohesion, but he is also preaching enlightened principles for the Beatniks and non-Beatniks to follow in regards to offering up themselves to the knowledge that no matter what one accomplishes in life only one truth remains and ever really happens and that ideal is that God is Only. Kerouac’s purpose in Lonesome Traveler is to answer the question concerning existence, which he clearly does, and to provide a foundation of philosophy and theology which testifies that everything is connected and only God truly matters in the end. Kerouac has several strengths in his travel narrative. 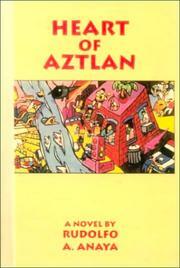 One such example is his use of allusions to Chicano folklore and the similar passage protagonists take in the novels Bless Me, Ultima and Heart of Aztlan, both by Rudolfo Anaya. Both Kerouac in Lonesome Traveler and Antonio Marez in Bless Me, Ultima go on a spiritual transition, one of moving from innocence to experience and moral independence while doubting both Christian and pagan religious beliefs. In the novel Heart of Aztlan, Clemente Chávez seeks out the mythical place of Aztlán to assist him in understanding group identity and his cultural roots. Kerouac actually refers to himself as an Indian, connecting himself to the Chicano themes- “thereafter becoming known as Kerouaayyy the Indian” (Kerouac 70). One of Kerouac’s strengths in his free formed descriptive writing style, Faulkner-esque in streaming out thoughts is a strength by itself, is that he also can transcend boundaries of American folklore by slipping into Mexican-American, Chicano, and Hispanic folklore as well. But the truly impressive nature of these themes is not that Kerouac did it, but that he did it far ahead of most other Chicano writers. 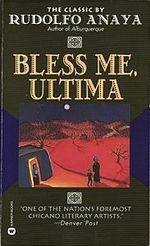 Bless me, Ultima was published in 1972 and Heart of Aztlan was published in 1976, while Lonesome Traveler was published in 1960. Kerouac has proven himself a success at writing fiction through the highly acclaimed and studied On the Road. However, Lonesome Traveler is his attempt to join the ranks of Herodotus, Marco Polo, Alexander Kinglake, Frances Trollope, and D.H. Lawrence in the literary genre of travel nonfiction. 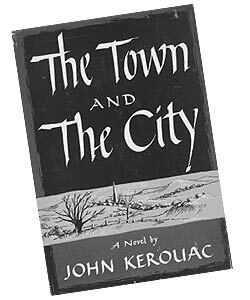 Kerouac is successful in his inclusion into the travel genre due to his highly descriptive talent focused on nature and social customs. “Wonderful to go out on a frozen road, to see the grass in shadow bluish with hoar-frost, to see the grass in the yellow winter sunrise beams melting and going cold-twinkly. Wonderful the bluish, cold air, and things standing up in the cold distance. After two southern winters, with roses blooming all the time, this bleakness and this touch of frost in the ringing morning go to my soul like an intoxication. I am so glad, on this lonely naked road, I don’t know what to do with myself” (in Fussell, 484-485). “To trace the history of a river or a raindrop, as John Muir would have done, is also to trace the history of the soul, the history of the mind descending and arising in the body. In both, we constantly seek and stumble on divinity, which, like the cornice feeding the lake, and the spring becoming a waterfall, feeds, spills, falls, and feeds itself over and over and over again” (183). “The fish swimming in the pelvic bones of old lovers lay tangled at the bottom of the sea like slugs no longer discernible bone by bone but melted into one squid of time, that fog, that terrible and bleak Seattleish fog that potatopatch wise comes bringing messages from Alaska and from the Aleutian mongol, and from the seal, and from the wave, and from the smiling porpoise, that fog at Bayshore you can see waving in and filling in rills and rolling down and making milk on hillsides and you think, ‘It’s hypocrisy of men makes these hills grim” (Kerouac 60). Kerouac and D.H. Lawrence and Gretel Ehrlich illustrate a dynamic control over their descriptive phrases while maintaining a bond with a humanistic meta-physicality which endeavors to explore the spiritual and physical road. Jack Kerouac and his travel tales in Lonesome Traveler take the reader on an exploration into foreign lands and into the soul. 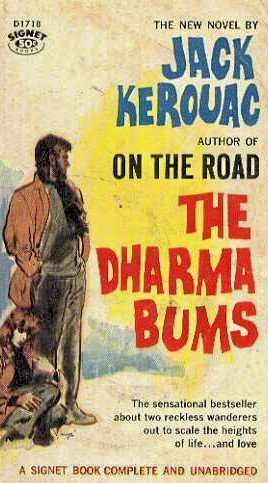 Kerouac cleverly strengthens his writings by using philosophy and theology to distinguish between the known and the unknown in Chicano and Hispanic folklore, Christian and Buddhist ideologies and succumb to an enlightened understanding of the world and universe for his fellow compatriots of Earth. “I tried to count a pinch of sand knowing there are as many worlds as the sands in all the oceans.—O honored of the worlds! for just then an old robed Bodhisattva, an old robed bearded realizer of the greatness of wisdom came walking by with a staff and a shapeless skin bag and a cotton pack and a basket on his back, with white cloth around his hoary brown brow.—I saw him coming from miles away down on the beach—the shrouded Arab by the sea.—We didn’t even nod to each other—it was too much, we’d known each other too long ago” (Kerouac 148-149). And perhaps next time, when you are somewhere, in a coffee shop, on a beach, on a quiet street, in a cinema, and you see an elderly man or woman who catches your spiritual attention and you know you know them without having to speak a word, perhaps then you can imagine Kerouac within them and within you and know we are all the same and that traveling abroad can mean more than simply leaving continents. Anaya, Rudolfo A. Bless me, Ultima. Berkeley: Quinto Sol Publications, 1972. Print. –. Heart of Aztlan. Berkeley: Justa Publications, 1976. Print. Ehrlich, Gretel. “The Source of a River.” Ed. Mary Beth Bond. California: O’Reilly & Associates, Inc., 1995. 181-183. Print. Fussell, Paul, ed. The Norton Book of Travel. New York: W.W. Norton & Company, 1987. Print. Kerouac, Jack. Lonesome Traveler. New York: Grove Press. 1960. Print.